Business valuation is fundamentally an analysis of the cash flows that might accrue, in either a hypothetical or real-world situation, to the owner of a specific business interest. In recent years business valuation has risen in prominence due to regulatory and judicial requirements. Unfortunately, this increased demand for appraisal services has also created an environment where the term “business appraiser” can encompass anyone from a CPA who does one or two a year, when not otherwise doing taxes, to a practitioner who focuses exclusively on business valuation engagements. Business Valuation can be used either independently or in conjunction with other financial analyses. While it is helpful to understand the myriad of business valuation credentials that currently exist, perhaps the best bellwether of such credentials is the level of difficulty necessary for their attainment. Ultimately, the selection of a qualified business appraiser should be made based on three determinants: credentials, business valuation experience, and experience in the specific type of appraisal being sought. Business valuation can be used either independently or in conjunction with other financial analyses. In a dissenting shareholder case, for example, a business valuation will often be required to determine the fair value of an outgoing shareholder’s interest in a business. Depending on the source and quality of the financial information used in the appraisal, forensic accounting may also be necessary to substantiate the financial information. In an appraisal undertaken for gift and estate tax purposes, it is important that the appraiser understand the governance and assumptions that apply to such appraisals. Valuation is not an exact science, despite continuing efforts by practitioners and the profession to remove subjective elements. As such, it is important that an appraiser understand how certain considerations impact the components of a valuation and the discounts or premiums that may apply. 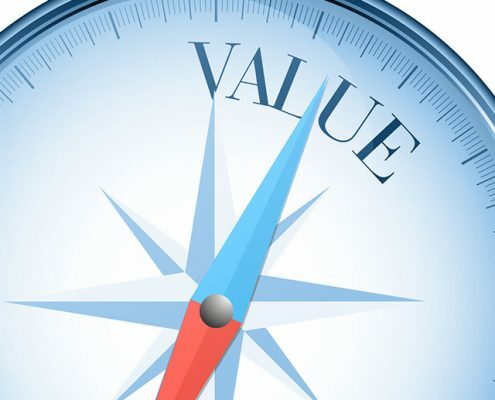 Business valuation remains an evolving area of financial analysis, which highlights the importance of engaging a business appraiser who is experienced and stays current on their business valuation body of knowledge. Anthem Forensics has provided business valuation services in various situations, exemplified by the following. The determination of lost profits. To assist with the due diligence process in mergers and acquisitions.